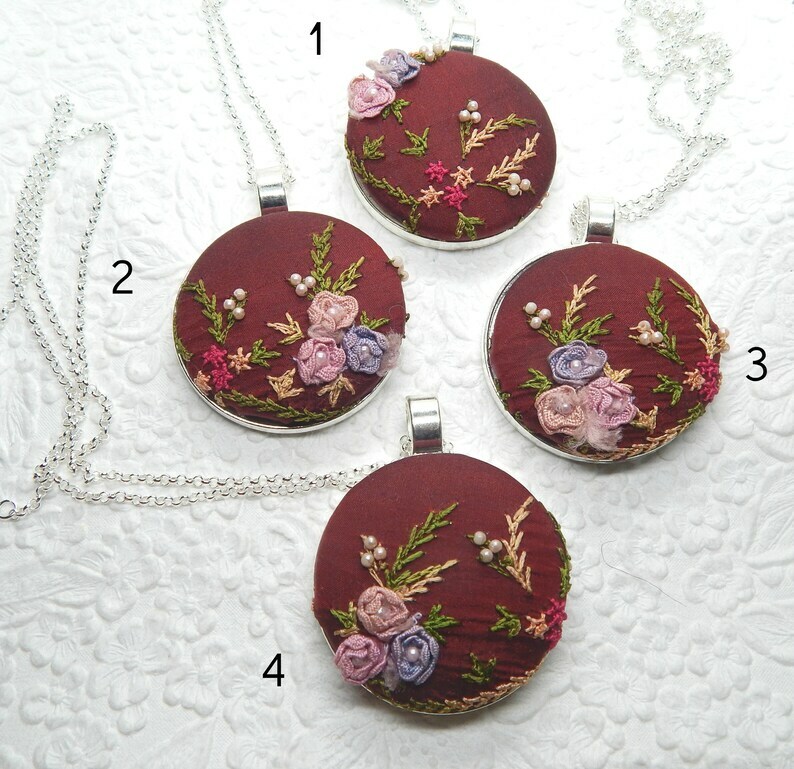 Dark wine embroidered pendant with pearl detail. Bridesmaid set or party detail. Silver-tone pendant measures 1 7/8 inches. Metal silver-tone chain measures 24 inches. All pendants are made by me; all metal is lead and nickel free.